New Orleans is home to many eclectic originals – it's the birthplace of Jazz music, Mardi Gras Indians, Creole Cooking, Second Line Parades and, happily, PJ's and PJ's Cold-Drip Coffee Concentrate. Over 35 years ago, Phyllis Jordan, our founder and a true innovator, developed and perfected the cold-drip process that helped make PJ's an original New Orleans icon. 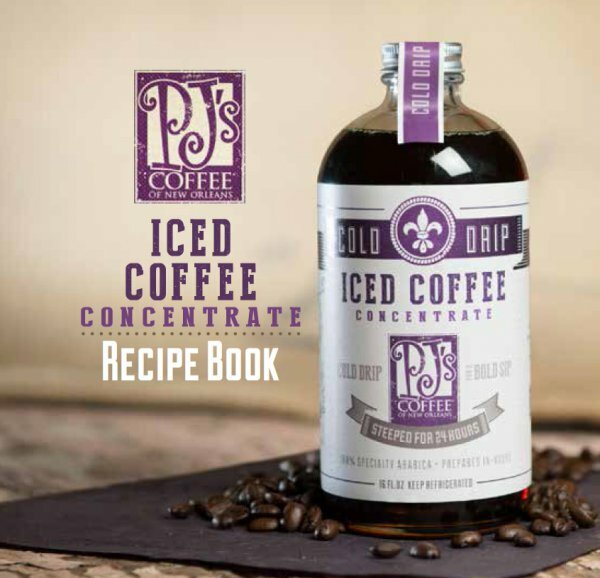 It's originals like these that led to this consumer-created PJ's Iced Coffee Concentrate Recipe Book. Our customers and baristas contributed these recipes, made with our delicious and unique Iced Coffee Concentrate, but invite you to be part of PJ's history and tradition, by contributing your own recipes. We look forward to your originality! PJ's Coffee. Simply the Best. Because of You.